Indian Hawthorn, Rhaphiolepis indica ‘Magnificent’, unlike its smaller cousins, is typically used as a large evergreen shrub specimen, standard or small tree. Like all Raphiolepis indica varieties, plants produce deep green glossy leaves that remain evergreen. In spring, plants explode with sprays of light pink, softly fragrant, star-shaped flowers. The blooms attract butterflies and birds, making it a great addition to a habitat-friendly landscape. In fall, small, dark blue berries appear, although they are not highly conspicuous. For the best show of spring blooms, plant ‘Magnificent’ in a full sun location. 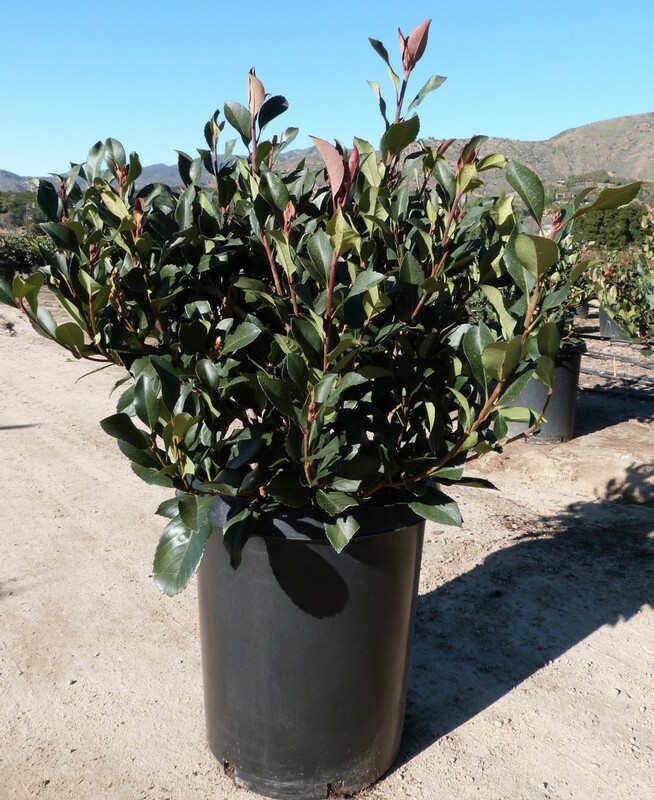 The dense growth habit makes this variety perfect for a tall living screen or privacy hedge. With plants growing up to 25-feet tall, ‘Magnificent’ can also be used as a standard or small tree in smaller urban lots. Plants grow best in well drained soil in a sunny location. Once established, plants are drought tolerant; but they will bloom heavier and look their best when provided water regularly through the hottest months of the year. Selectively tip prune to keep plants to desired size.